St. Marys Home Building Centre - Everything You Expect from a Building Centre... and More. Everything You Expect from a Building Centre... and More. YOU'RE AT HOME IN ST. MARYS. 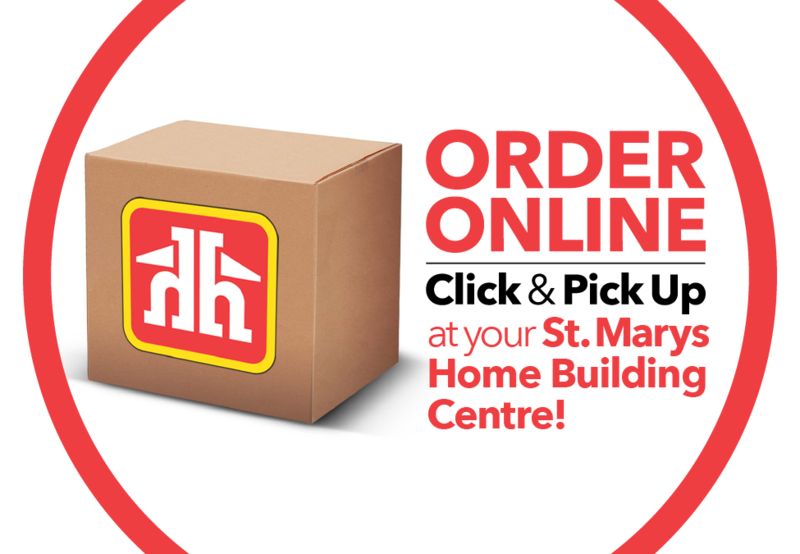 Through the Home Hardware network, St. Marys Home Building Centre has access to 100,000 quality, brand name and private label products, delivered through a state-of-the-art distribution system. Owners Brad and Jenny Roth and their team are committed to helping contractors and home owners in and around St. Marys with all of their project needs. St. Marys Home Building Centre is one of close to 1,100 stores under the Home Hardware banner. Founded in 1964 in St. Jacobs, Home Hardware remains 100% Canadian owned and operated and has received a designation as one of Canada's Best Brands. ​Need Hardware? ​​Visit Sam's Hardware Store!